I hope everyone has had a good Christmas and their stockings filled with Elite goodlies. If you didn't then you still have 9 days to fix that. The pledge total has reached £957,000 meaning we have £293,000 left to raise. We also have over 18,000 backers, so thank you all and welcome to our new backers. To put those numbers into context, if all of our backers increased their pledge by £17 the game would be funded. Obviously the more backers we gather the lower that number becomes. So please continue to help spread the word. If your currently pledged at a lower tier then take a look at the higher tiers or the pledge upgrades to see what you can gain with your additional support. For example for £85 you will receive any future expansions of the game for free as well as a range of starting options for the game. Thanks to Chris and Gary for putting the interview together, Thanks also to Chris for his support in the Star Citizen updates. Today's featured novel is John Harper's "And here the wheel", he has less than 2 days for his crowd funded project so please visit his project and pledge your support. Supporting the novels also supports the game. Thanks to everyone for their support. This game has to be made and together we can do it. 9 days and counting, I'll be back tomorrow with another update. Welcome to the Elite Dangerous Newsletter #130. This week we take a look at some great content from the community in our Horizons Highlights, bring you important news about upcoming changes and adjustments to The Engineers and give you all the details of our huge Summer sale. As always, you can hear the latest news and updates directly from the development team on our Forums, Twitter, Facebook, Community Homepage, and right here in the newsletter every week, and we're always eager to hear your feedback. Pick up the Elite Dangerous: Horizons Season Pass today for only £13.39, €16.74, $20.09 or RUB 997,63. This week we're showing off some incredible community creations, including a must-see live action short movie, we're telling you about some of the tweaks and changes we've implemented thanks to community feedback, taking a little trip in an Orca with some Elite Dangerous-style space tourism and much more. We’re always impressed by the screenshots and videos our community post on social media and our forums… here’s a collection of a few of our favourites from this week. This live action short film made by the Eranin People's Film Board does an amazing job of putting an intriguing story behind a simple in-game mission. It perfectly captures the mood of Elite Dangerous and we applaud everyone involved for their brilliant work. We know we're not alone when we say that we'd love to see more. 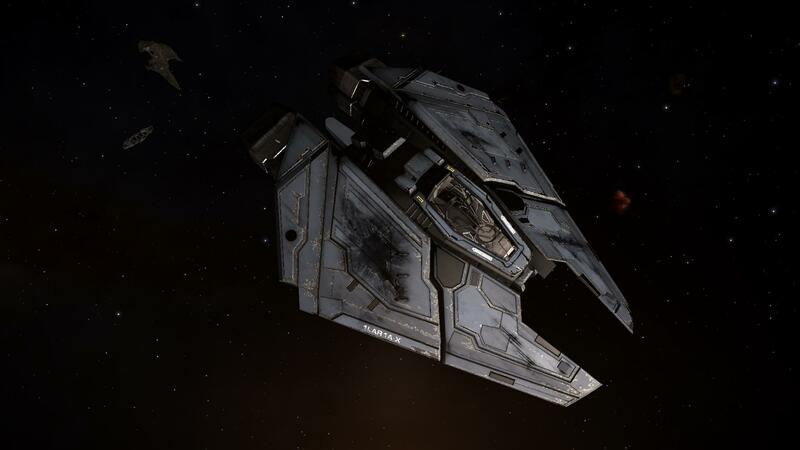 Recusant1 heard rumours of a battlecruiser arriving at Merope 2A and journeyed to the system to get photographic evidence in order to confirm it's arrival. People on Reddit are busy speculating as to the reason for its arrival. CMDR Zindae quickly found out that it was a bad idea to shoot upon the Cruiser as backup arrived swiftly to protect it. Earlier this week we put out a server update that brought some requested changes to the game. Local news articles were added at the Engineers bases to help direct players to locations where they are able to source the materials they need. In addition we increased the amount of materials you can hold from 600 to 1,000 and increased the amount of Data you can hold from 200 to 500 units. Alongside these changes we also made some adjustments to the requirements to unlock a couple of the Engineers. Specifically, we reduced the required number of rare goods to unlock them down to 50 tonnes. We also adjusted the availability of rare goods in the galaxy slightly, too. States will still change the allocation of rares but the numbers are more favourable than they were. The development team worked incredibly hard over the recent week’s and are always looking at and reviewing the feedback from the community. There will be an additional point update coming soon which will also include a number of fixes and changes based on feedback from the community. We’ll have some more news on that soon. The graceful Orca will finally get the love and attention it deserves, as passenger gameplay is coming as part of the next major content update to Elite Dangerous: Horizons. We'll have much more information on 2.2 in the coming weeks, so keep an eye on our social media channels and our weekly newsletter to find more. One aspect of Passenger Gameplay will be Tourism, so we're building a massive database of the best tourist hotspots in the galaxy. There's nobody who knows the galaxy better than our intrepid explorers, so we're asking for a helping hand from our Commanders to make the location database as thorough and complete as possible! Executive Producer Michael Brookes has arranged a competition on our forums where you can submit a location to be used in the game. 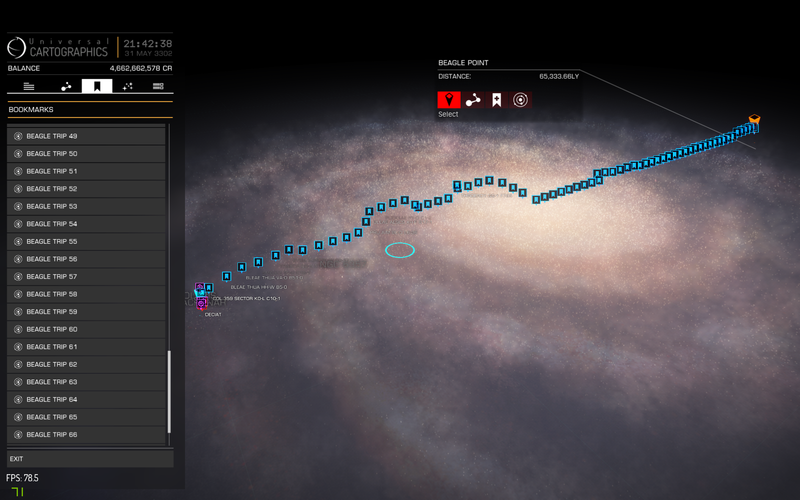 If the location you submit gets used, your CMDR name will be added in-game in connection with the chosen location. The EDC Commonwealth are arranging a massive code breaking event, where participants will have to answer a series of questions in order to win prizes. See the original post here to find out how you can get involved. The guys at HCS voicepack have launched their latest addition to the collection, with YouTuber Obsidian Ant! You can watch the trailer for the pack below, made by Obsidian Ant himself... how fitting. From the site - "Obsidian - Over a thousand responses including Ai "Jazz" for the Galaxapedia & Constellations." • Ship Kits Live On the Frontier Store Now! Head over to the Frontier Store to pick up our new ship kits for the Sidewinder, Eagle, and Cobra. These kits will give your ship a completely unique look, with hundreds of combinations available to experiment with. You can mix and match the pieces on the ship, to get the exact look you want and the pieces will change colour to react to the paint job you’re using. There are more examples of the ship kits in use on the store page..
- Bolt vanderhuuge posted this stunning screenshot… something you could only ever see in Elite Dangerous: Horizons. - Obsidian Ant continues his journey to the edge of the galaxy, and visits a few planets in “the Desolation Ridge”. The Dangerous Games Wildcard Community Goals have kicked off with a bang. After a long week of Gold mining the groups have battled it out for points in the first of the three challenges they will face. CMDR Corrigendum takes a look back at the first year of Powerplay, digging deep into the political struggles of the last 12 months. The Engineers was launched last week at no additional charge to all those who own the Horizons season pass, and already we’re seeing some beautiful screenshots and videos. CMDR Klassic found this ‘poor little Condor’ floating alone in space… we can only wonder what happened here. According to CMDR Allerose, the New Huge Weapons are super effective… look at the mess they’ve left behind! 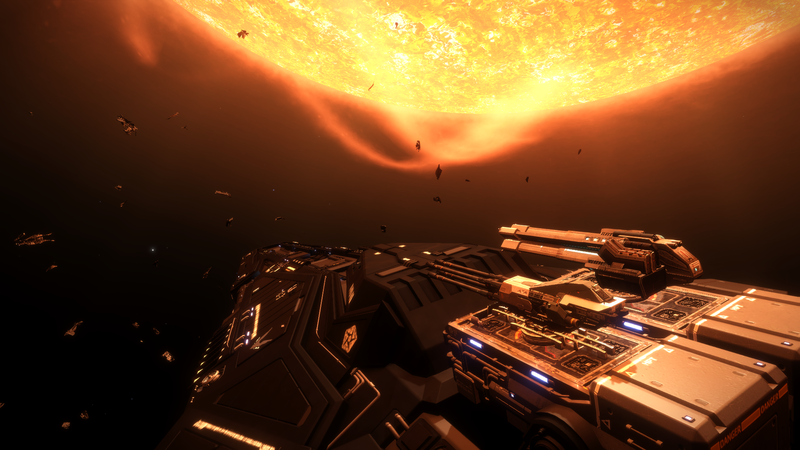 CMDR Paul Loachman visited Farseer Inc… he took this lovely panoramic screenshot. Obsidian Ant uploaded this video detailing the FSD upgrades available via the Engineers. • Ship-Launched Fighters, allowing larger spacecraft to carry their own short-range fighter craft for attack and defense. • Multicrew, allowing teams of Commanders to assume roles aboard the same ship. • Commander creation, giving a unique appearance to Commanders’ in-game avatars. What’s more, Xbox One Commanders who purchase Horizons before the 30th July will also get access to the Cobra Mk IV in game. This early incentive mirrors our pre order incentive previously offered to PC players. The Cobra Mk IV will be available in selected ship yards if you have access and will require in game credits to purchase. The Engineers 2.1 and 1.6 Available Now! "This week, we’re launching Elite Dangerous 2.1 The Engineers and the 1.6 update, we’re celebrating with a new trailer, giving Xbox One Commanders the chance to pick up something new, catching up with the latest GalNet news and much more. Pick up the Elite Dangerous: Horizons Season Pass today for only £19.99, €24.99, $29.99 or RUB 1489." @light487. On the value to us of the free upgrades for life. I'm not sure what a single upgrade would cost, but I'd assume £15-£20 each ($20-$30 (I wasn't aware of this, but AUD=USD now!)). So there's a case to be made that Frontier have badly underpriced the expansions for life tier. Of course, there's risk etc, so if they had priced it "correctly", they'd have had far fewer takers. @light487, my two penneth worth ;-), for me Elite Dangerous isn't like any standard retail release, with a regular game you'd get maybe 40 hours of gameplay before it's 'completed'. Given that E:D is completely open ended, with new add-ons being developed over time, and in effect 'free' multiplayer interaction it seems to me that represents reasonable value for £80. @light487 I can understand your point of view but I think you may be slightly mistaken (it may also turn out that you are right and I am wrong). As I see it, yes Frontier Developments intends to profit from Elite Dangerous, what software house doesn't intend to profit from it's creations? However I believe that in this case, the profits will come from the retail sales of the game. Disclaimer: the following post is based on assumptions and guesswork and is intended to show the thought processes behind my point of view. I have no knowledge of the pay structures within Frontier developments or any other developer for that matter. Here's my thinking on this... In time past, as i understand it, a publisher would pay a developer an upfront to make a game to a certain deadline. This fee would have covered wages, equipment, etc; and as the publisher takes the Lion's share of retail profit, probably a certain amount of profit to the developer as well. In the case of Elite: Dangerous there is no publisher, which means all the retail profits go back to Frontier Developments. Let us assume that a developer's wage/salary is based on UK minimum wage (£6.19/hour) and a working week of 40 hours this would give an annual salary of £12,875.20. Given that the game is estimated to take 15 months to produce, the cost per employee based on the above calculation would be £16,094. Looking at the requested funding level of £1,250,000 if this was entirely spent on wages at the rates I have used above the developer would be able to employ a maximum of 77 full time, and one part time (24 hours/week) staff to work on the project. If the average wage were £25,000/ per annul, the Frontier would only be able to afford 40 developers. Given that I expect Frontier pays above minimum wage, and that the requested money will also go towards funding hardware, advertising and overheads I feel confident that the money they have asked for will be spent on the game and that the profits they expect to make will be from retail sales after launch. The future expansions and founders system access persuaded me to increase my pledge from £20 to £85. Really want to see this get made. I wiled away a *ridonkulous* amount of time on Frontier and First Encounters back in the day. :D Best of luck with the final push! Not trying to be negative.. just thinking out loud my thought process in deciding whether or not to pledge more, so that Frontier can understand the reasoning (at least for one of us) behind it.. Sorry.. I should say I'm not sure whether I want to part with another $50-odd dollars, which would make my "donation" amount approx $35. I've already upped my pledge to 55GBP, which is about $85AUD. That is the price of a premium, boxed game from a AAA developer/publisher. This is an acceptable amount for me. Upping to 85GBP would make it about $132AUD, which more than a collector's edition would be.. $85AUD is more than I have paid for any game in the last 2 years.. because I don't buy from brick and mortar stores any more and usually wait for sales. Even Far Cry 3, on release day, was half that amount. $85 for the full game, which includes some additional "bonus" stuff like starting points and boosts (Cobra Mk III ship and starting cash). $50 for "season pass" or all the future expansions, for life. If you were to take $10 off the $50 amount to bring it inline with current market values and also $25 off the $85 to also bring it inline with current market values, that leaves $35 (22GBP) of extra cash that is being "donated" or given to see the project get made.. not so much an investment as a pledge/donation to a good cause. So that's what it comes down to... is it worth another $35 on top of my already generous pledge, to see this game made. Can I really justify, to myself not anyone else, donating $35 to what is effectively a company that is in "it" not just to make a game but also to make a profit. Yes, there are a lot of good intentions here to get this dream game made, I acknowledge that it is not JUST about profit.. but it would be naive to suggest that profit did come into it at all. So we are being asked to donate, as is the true nature of Kickstarter rather than a pre-order service, this extra cash with no actual return on our donation.. we can't even get a tax deduction, let alone a dividend return on those funds. I'm on the fence at this point whether I want to part with that additional $35 or not. Will the game support HOTAS and TrackIR ? And will it be moddable ? Nice one, but the hell is "Ian Hall" (interview...)? I'm a day-1 pledger, and I've just upgraded it. Please succeed, I really want to play it! Chris Roberts has mentioned Elite: Dangerous in a few of his updates. @David Chris sent out the call back on the 18th. Sounds like the economy could be a data mine. It's a great piece of music. Both majestic and ethereal. I'm not too fussed about what they decide upon... as long as I get the Blue Danube when I'm approaching a space station. Did anyone here back star citizen? I only ask because in the clip Chris Roberts promises to reach out to his community to help fund Elite: Dangerous, just wondering if that call to arms has happened yet. Great work guys. Using quality classical music was genius in Elite and I believe Elgar,s Nimrod would be a fitting replacement for Ride of the Valkyrie. Perhaps the initial scene of someone leaving their first space station at the start of the game. Here is a sample to refresh your memories. The starting options are available as long as you have pledged at that reward level or higher, they provide a range of options you can choose between when starting a new game. £80 is not the full, £20 (if you are lucky enough to get a slot) or £30 is the full game. £80 gets you any expansions that are released, the book, the soundtrack plus other pledge rewards like some of the starting positions. A pretty good package. Paul, I would never nitpick over simple homophone mistakes. This is about one of the founders of Elite's name. Unless I am wrong, Ian Hall's name is suspiciously close to where I'd expect to see Ian Bell's name. @ Sami - you can get a digital copy of the game for £20 - at present time of writing there are 46 slots available. Lets not descend into itsy-bitsy nitpicking. We all know the difference between 'your' and 'you're', it's fairly easy as we are typing to misuse them. I didn't notice the "you're, your, or yoor" mistake. There's a more serious typo, unless I'm mistaken, and there was also an Ian Hall who worked on the original Elite. Hi Michael. You guys must lower the price for the full game (all upgrades) to about £50 and then you will get the backers you need. £80 for the full game is too much. It's more than any console game costs and much more than a PC game costs (about 30 euros). £80 is about 100 euros !! Besides, you will get many more customers along the way and you could do some micro payment stuff. But you need the initial backers first to do anything. Everything else looks great except price. @Phil. Thanks, i am a little confused over the time with all the new pledges. Whats about this starting Points can i allways i start a new Game start at another point? And whats abaout that secret system. Maybe my English is so bad i cant get the point. @Robert They added a digital-only pledge that gets all expansions for £85 and no shipping. Good point, I have a friend who does a fair bit of writing for his job and his spelling is awefull! Hi sorry for my English. But wasnt the amount of all further expansions at £90 and now u give it away at the amount of £85??? Would like to know because i am outside of England and the Pledge of £90 means £15 more for shipping. Being unemployed does limit my support, but I'm up from 10£ to 35£ now. A bit worrying that Michael (the writer) doesn't know the difference between "your" and "you're"! I'm not usually the type to go around pointing out typos, but that's one hell of a mistake you've made in the Kate Russell interview. Long way to go in 9 days, can we appeal to kids who got money for Christmas? It's not been approved yet. I'll post as soon as she lets me know. In the meantime we have another book Kickstarter starting a new Elite: Dangerous novel : "Elite Chronicles" by C L. She's trying something a little different, not only is she crowd funding the book, she will be crowd writing it as well! Awesome. I got a sort of almost half-mention in passing in a conversation between two giants in the space sim world! It would be reasonable to calculate how many percent of current pladge every backer should add to fund the game completely. Do we have a link to Kate's kickstarter project yet?